The Weeknd’s XO roster came a long way since its inception in 2012. While it began with just The Weeknd on its roster, they’ve become a powerhouse for up-and-coming talent, especially out of Canada. In the past two years, they’ve expanded their roster with the additions of Belly, Nav, 88GLAM and more recently, Black Atlass. Earlier today, Black Atlass released his first official project through XO, Pain & Pleasure. Although it’s his fourth project, his latest project marks a new chapter in both his career and his life. The goals he once set while he was recording music in his bedroom with headphones in Canada have come into fruition as he’s joined the XO team and surrounded by like-minded creatives who inspire him regularly in the City Of Angels. 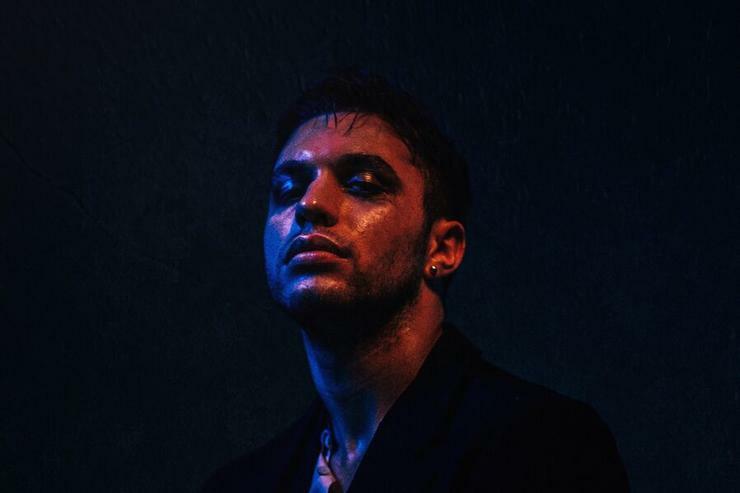 We recently hopped on the phone with Black Atlass to talk Pain & Pleasure, signing to The Weeknd’s XO’s imprint, his evolution as a musician and more. HotNewHipHip: Congrats on signing to XO. You’ve had quite the journey up until this point. How do you feel your career, in terms of creative freedom and general success, has shifted since signing to XO in comparison to Fool’s Gold? Black Atlass: I think it’s a lot closer of a team, but I think generally, I’ve been fortunate enough to have this sort of creative freedom throughout my entire career so that’s been amazing and it really helped in terms of allowing my vision to kind of reach those milestones and continue to grow at those other levels. Obviously, that’s continuing on with XO just at a much, much larger scale now. Kind of what I always imagined as my primary goal for where I want to be in my career at this point. So it’s amazing to have that opportunity and to be given this platform to create from. As a Canadian artist, you previously signed to Fool’s Gold which was started by Montreal’s A-Trak and now, you’re signed to XO. What appeal was there behind signing with Canadian owned record labels? I mean, it obviously adds another level of understanding to the dynamics to kind of come from the same places and have that common ground between you. It wasn’t intentional but it was nice that it worked out that way. How did you connect with XO? I met La Mar [Taylor] a couple years a go at an AMA after-party. My creative director introduced us and we had a couple other mutual friends from Toronto. And then from there, he kind of kept his eye on things and was just kind of watching the projects come out. He’d be in touch here and there with my creative director and be like, “I love this video. This tracks really dope.” And then when I was out in L.A. last year in January, he hit me up on Instagram ‘cause he saw that I was there. We met, we had dinner, we hit it off and he started to mention that him and the whole team were interested in working with me. They wanted to know how I felt about that. I was like, “A thousand per cent. That would be an absolute dream come true for me, no question.” So, we went from there and that’s how the whole thing started. From there, it’s been kind of like the past year of this evolution between jumping into that world and moving to L.A. and everything and starting to work on this project and a year later, here we are. How long has “Pain & Pleasure” been in the works? I’d say since April or May of last year. It just kind of coincided to my move to L.A. and obviously, this new opportunity and this new chapter of my life with XO. That was the fuel for the whole project and then, over the course of the summer, that was kind of my first time working with other producers and songwriters and stuff like that. It took me probably a few months to really, you know, find my ground again and understand what the vision would be from the project and find my voice and understand how to collaborate with other people in the room which ultimately really helped me grow as an artist and really took the sound to a new evolution. I would say in the fall time, like fall 2017, is really when I started to dial things in and get the project to where I want it. We wrapped it in the spring time this year. Could you take me through a bit of the creative process of the project? I would say it started, again, that whole move to L.A. and kind of birthed out of that. And early on in the process, I kind of wasn’t sure what story I wanted to tell because I just felt like I had such an incredible opportunity with this new chapter that I really wanted to make sure that it was the best it could be but also, the truest it could be. I had a friend of mine named, Tahila, ask me, “What’s the story you want to tell? What do you want to tell people?” Before that, I had kind of just thinking, trying to conceptualize different stories or different ways of telling things. I was kind of lost in that and as soon as he asked me that question, I went off and started to think, “What would my favorite directors do? How would they start with writing a story?” Because I was looking at it that way. And then from there, I just kind of decided, “Why don’t I just tell the story of my life right now?” You know like, opening new doors for me mentally, creatively, just to stay true to what my story is in life at that time and work off of that. That’s the best material you could use, just what’s true to you. I just started thinking what the story would be. That it would be [me] coming from Canada, moving to L.A. and kind of, leaving the past behind and coming into this new chapter. Keeping my eyes open to this whole new world and finding my way through that as I kind of let go of those things from my past that were dragging me down and come into this new world which I thought felt like such an interesting, productive, complex like fantasy world. So yeah, that’s kind of where I went with this story and then through that came starting to write around that and ultimately, the project came out of that. It’s interesting you say that because I read somewhere that your last project, Haunted Paradise, was inspired by your trip to L.A. and I also read that when you moved to London, Ont. is when you started honing into your craft as a musician. So I was just wondering how much does your location influence your music, specifically with Pain & Pleasure? It’s interesting because I was thinking about it the other day -- because I’ve been thinking ahead to the next project and where do I want the story to continue from here -- but I think the first three projects like the Black Atlass EP, Young Bloods EPand Haunted Paradise all kind of fit into this world of living in Canada and growing from a teenager in high school into coming into being an adult but still in this world here in Canada kind of an outsider looking in. I hadn’t experienced much so it was very much like I was kind of imagining stories and placing myself in these places but not really being there. So that whole perspective I think had that vibe to it. Moving forward with these new projects -- Pain & Pleasure being the first chapter of that or the first part of that -- I think the distinction there is that I actually did move to L.A. So now, I’m kind of on the other side of that. I’m not in this, sort of, daydreaming world that I was in Canada. Now, I’m actually like on the ground in this place and really experiencing what it’s like and you know, just seeing so much more. You know, the door’s being opened to so much more than you’d be able to see as an outsider looking in from a different place. But yeah, location definitely influences everything. It puts you onto an entirely different perspective, you feel different in a different place and you’re kind of open that energy. It’s kind of like you spoke it into existence through those first three projects and now, you’re in a position where you’re getting ready for lift off, essentially. Yeah, yeah exactly. Those first three projects were really like kind of like that introductory story, you know? This new chapter, this new evolution in my life but ultimately the beginning of that and I feel like the beginning of what I’ve always imagined for my career. I noticed, just going back to the influence of location, I feel like when I was listening to Haunted Paradise in comparison to Pain & Pleasure, there was a much more darker tone to the music. I often feel like it’s related to the weather out in Canada. On Pain & Pleasure, your sound evolved into something much more distinctive to your brand. What was inspiring the sounds behind this project, aside from L.A.? I think the biggest inspiration and kind of the biggest door opener to me was really going from those first three projects being in my bedroom with headphones on by myself, isolated in Canada through the seasons, you know? Through the winter, kind of in that darkness like you’re saying, but just by myself, in my room with my headphones on to now. This new evolution, this new beginning with Pain & Pleasure is me coming into the studios in L.A. and working with different producers and writers and just creatives in general. Having a lot larger of a group around me and people that are a lot more experienced and truly, really inspiring to me so that was, I think, the primary influence for the whole sound was constantly being around this inspiration -- this group of inspiring people -- that really pushed me to reach this new level in my sound. I think also with having multiple people working on it and not just being in my bedroom with headphones on but being able to step back and allow people to fill in the gaps and bring their expertise to producing this music. [That] was huge for me. Kind of becoming more of a conductor in a sense rather than trying to do everything myself by hand. I think that really helps push things forward and just grow the whole sound overall. I also just watch tons of films. Quentin Tarantino is just one of my favorite artists, overall and I was really inspired by his story because he’s from L.A. I still try to draw parallels and think when he was coming up in his career -- creating “Reservoir Dogs” and “Pulp Fiction” and those first few movies, writing true romance -- I feel like we’re kind of in that same place right now. So I feel very close to those stories and I’d go back and watch a lot of his interviews and look into the process of him making those movies. But yeah, there’s just so much I would say that’s really someone who’s always really been inspiring to me and then now, I felt like when I moved to L.A., I was like, “I’m really here.” I can kind of feel what he must’ve been feeling as he was like working on these films, you know? As he was writing the stuff and getting these new opportunities that he’s always dreamed of and having the opportunity to make his first real big project. So that was really inspiring to me. Kind of think about him and think about where he would start with writing a story. But yeah, L.A. in general, just the community there. And being so close to so many inspiring people -- people like Abel, especially -- push me to dig deep and to find something new in myself. Which track off of Pain & Pleasure is the most meaningful to you? I would say “Shadows” because it’s about a really special person to me and a really special experience to me. And ultimately, I wrote it about her. I think that’s the most personal and the most important to me. You previously mentioned being around The Weeknd and the XO team. Could we expect any collaborations between you and The Weeknd or other XO members? Yeah, definitely. That’s my goal, for sure. I’m always keeping that in mind. That’s definitely on my list for sure on things I want to do next. Have you guys already been in the studio together? Who are your top five most influential artists? Oh man, that’s hard. Hmmm... top five. I don’t know, that’s a difficult one to me because there are so many genres that inspire me and so many like, mediums and so many artists in different fields inspire me that there’s such a huge list to try and choose, I think it would be hard to narrow it down to a top five. I don’t even think of it in that way, you know? People ask me that all the time, like, “What are your top five favorite movies?” for example. It’s tough to kind of put one above the other. I could think about it for a very long time and probably come up with something. Do you feel like it’s an ever-evolving list? The fashion world really embraced you early on in your career. You also have a very unique aesthetic in your visuals especially on Instagram. How does fashion play into your music? Thank you. Well, like I said, kind of touching on being inspired by other artists from different fields, I think fashion ultimately plays a role in what inspires me. I think just looking at this world that’s so serious and at such a high level of creativity, that people take it so seriously. I love seeing that dedication in these artists and then, every moving part of that world. I find that really inspiring. I just love when people live and breathe their artistry and I think the fashion world have so many of those people that dedicate, you know, everything. They put all of themselves into what they’re doing. And then you [get to see] this world of creatives come together. Everyone’s kind of pushing themselves to bring their highest level of creativity to the table. I think seeing people create at that level is the essence of what inspires me about fashion and why I think the whole world -- between fashion, music, art, film -- I think that all fits together because it’s ultimately like this giant community of people that are all pushing themselves to create at that level in their field. I think you could take a lot of inspiration from any artist, in general, and not just someone working within music or working within film or fashion. I think that’s the reason why there’s this community of people that, you know, all of these contemporaries you’ll see musicians sitting front row at a show next to actors and there at this designer’s show. It’s exciting to see a community in the art world that’s at that level and that’s able to take that seriously. That’s really what inspires me about fashion. What’s your plans after this EP? I know you said you were already plotting on your next project but could we expect to see you on the road sometime this year? Yeah, definitely. All of that. I’m just keeping my head down and, you know, staying hungry and staying busy and focused and working. I hate just sitting around and you know, kind of waiting for the next thing. I rather jump head first and keep moving especially if I’m on a roll just creatively and energy-wise. I’m working on music, thinking about the next project and starting to work on that and working on the live show, rehearsing. And yeah, that’s the plan to keep pushing. I’m definitely not going to be taking any breaks after this project. I think that’s good. I hope everyone enjoys it.